Aberdeen City Council co-leader Douglas Lumsden said they intend to subsidise parking after 5pm in the city centre. Aberdeen councillors have pledged £80,000 towards a scheme geared at revitalising the city’s night-time economy. A total of £80,000 was allocated to implement the Alive After Five parking scheme in the budget approved by councillors yesterday. The Evening Express revealed in January last year the council wanted to let people park at a reduced rate after 5pm in some car parks. The proposal was previously approved as part of Aberdeen City Council’s policy agenda in August. The administration’s budget, which was approved 23 votes to 19 with three abstentions, also committed to keep on and off-street parking charges across the city at their current level rather than take on a number of proposed increases put forward by council officers. The local authority’s SNP group also committed cash to implement the same scheme within their own budget but pledged £140,000 to see it set up. 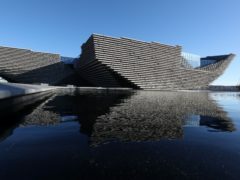 Adrian Watson, chief executive of Aberdeen Inspired, said he was “delighted” Aberdeen City Council unanimously backed the scheme. He added: “A similar scheme has proved very successful in Newcastle and other cities, where appropriate car parking areas are made free of charge or at a reduced rate to the public in the early evening, attracting more people into city centres for retail and entertainment. Meanwhile, David Groundwater, development manager for the Federation of Small Business (FSB) said: “Overall retail vacancies in cities and towns now average 12.3% – and many businesses are struggling to compete with online and out-of-town competitors. “Parking policy is a key lever of local government to support their local economy and the steps taken by Aberdeen City Council to reduce barriers and support small business is very much welcomed. First established in Newcastle, the scheme saw charges in the city stop at the local authority’s car parks after 5pm in a bid to increase the number of people coming into the area.